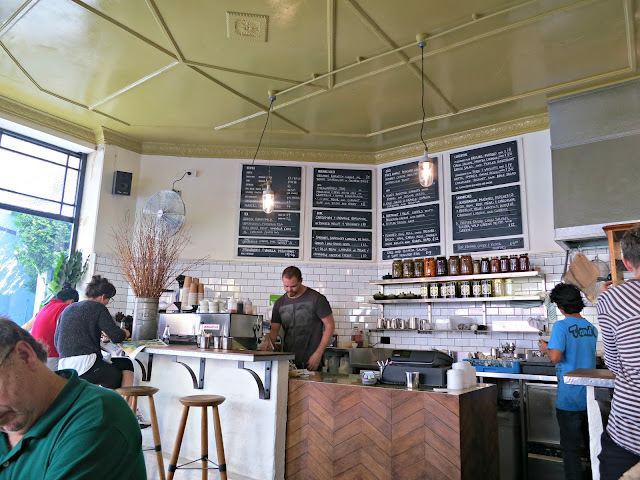 After all the rave reviews and write ups Cornersmith in Marrickville has been getting I have been dying to go and check it out for myself and tick it off the list. So I finally got the chance to visit after my lovely friend, Miss Alissa came up to visit. We popped in after a great day shopping at Marrickille Organic Markets. ﻿It was a shame we had already eaten, as we were too full to indulge in the food and sweets Cornersmith has on offer. 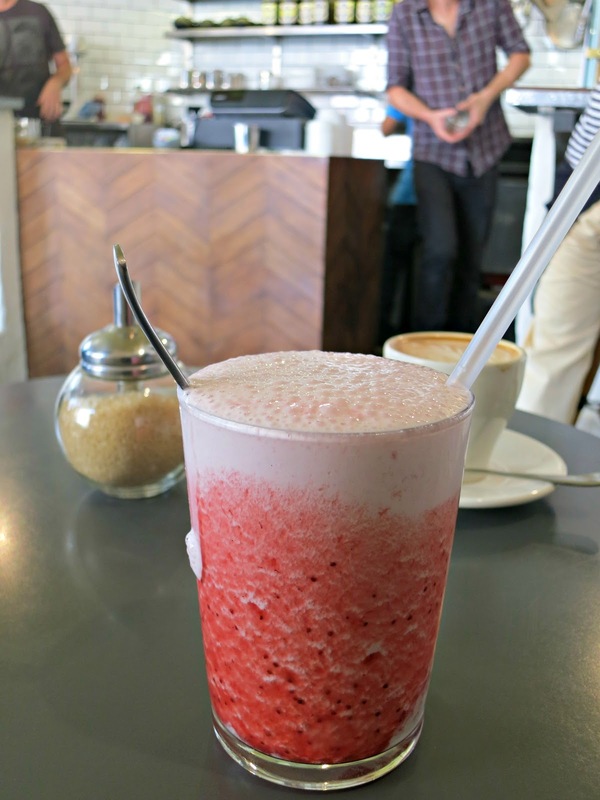 ﻿ But I did have room left for on our their legendary milk shakes. Today they had the strawberry and vanilla milkshake and it was very scrumptious. 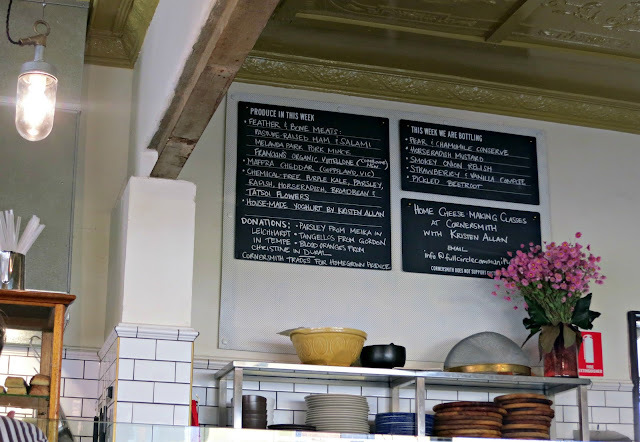 What I have always loved about Cornersmith is that it is closed on Mondays for pickling. 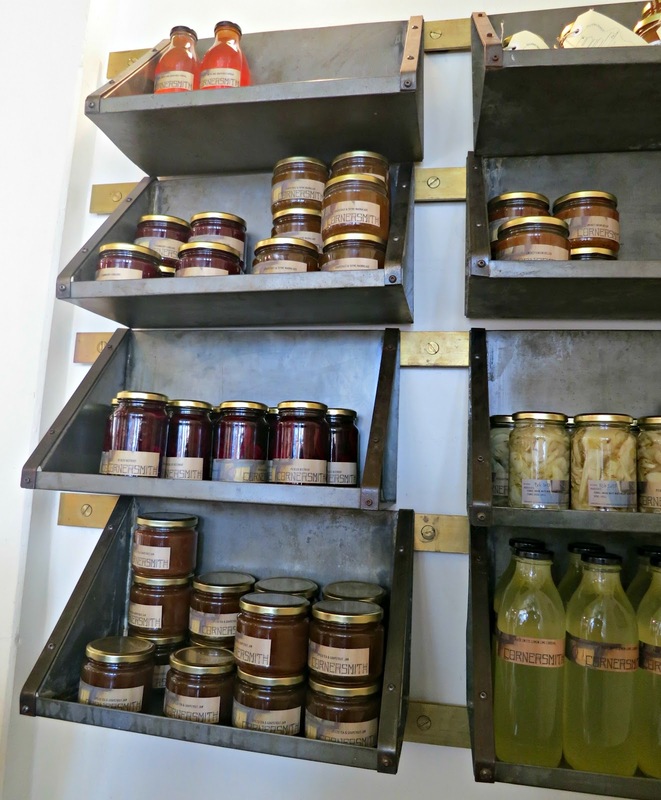 They make pickles and preserves, often from fruit and veggies that locals in the area have kindly donated. They also have beehives on the roof and make their own honey. Today's selection included Pickled Fennel, Lime cordial and Grapefruit jam. I can not wait until I go back again and try the Ploughman’s lunch and some of their yummy cakes. 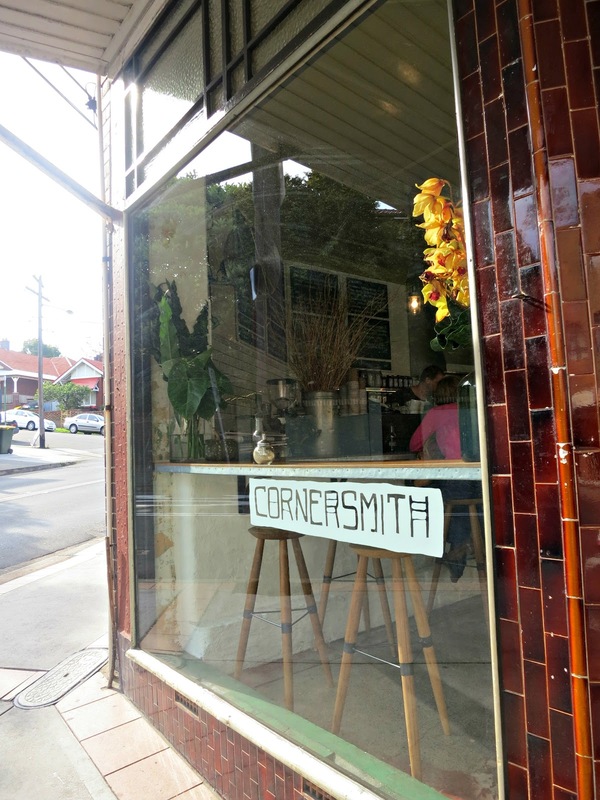 I LOVE Cornersmith - the food is wonderful (ploughmans plate is great, and it changes all the time).